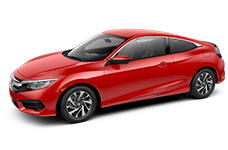 The 2019 Honda Civic leads with style. The vehicle features LED headlights, alloy wheels, fin-type, a roof-mounted antenna, and much more. If you're ready, the 2019 Honda Civic is for sale in Tampa, Florida. The vehicle is winning in terms of exterior, interior, and adaptability. 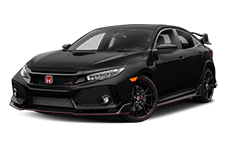 Drivers who need an amazing sedan with advanced technology and Honda Sensing technology will love the new 2019 Civic. Feel free to schedule your test drive right here on our website. The new Honda Civic (EX and above) features a driver's seat with a 8-way power adjustment, as well as heated side mirrors and 7-inch display audio with electrostatic touch-screen. If you need an enhanced model with hands-free capabilities, the new Civic is the one. The vehicle is skilled at adapting to your needs. The Civic EX (and above) features amazing options like the Remote Engine Start, and Smart Entry with Walk Away Auto Lock.